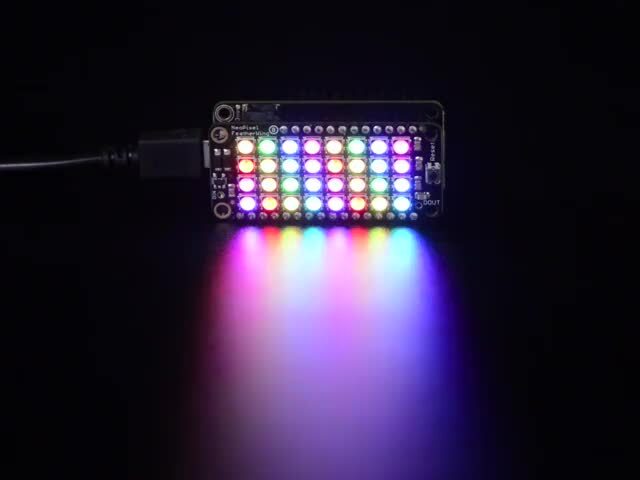 Once you've soldered headers on, check out https://learn.adafruit.com/adafruit-neopixel-uberguide for everything you could possibly ever want to know about NeoPixels. Note that since the data lines are very short for the shield, an inline resistor and large capacitor are not needed. This guide was first published on Jan 25, 2016. It was last updated on Jan 25, 2016. This page (Usage) was last updated on Apr 18, 2019.